Phule’s text dated 1st June 1873, adorns this little subtitle-‘In this Civilized British Government under the cloak of Brahamanism’, which clearly emanates the dual nature of his struggle, against upper caste chauvinism and imperial oppression. Writing opens with a Dedication towards coloured people of America, as a token of appreciation and affirmation of co-fraternity towards struggle for equality and equity. English used to portray themselves as the anointed saviors of colonial land with the moral burden to uplift its people to modernity. Though the fallacy of this claim can easily be proved by the figures of their plunder,pillage and vested interests, western education did benefit its people, in exposing themselves to liberal thoughts. Liberal reformers like Ram Mohan Roy encouraged Freedom of Press and writings in vernaculars, and Missionaries, though with an eye for conversion, helped transcend education to lower strata of society. India has an uneven social structure with obvious prerogatives, which doesn’t really have much parallels in the world. Unlike the usual social structure where class is determined by profession and wealth, in India, ones caste, determines and defines the boundary of ones attainable class, from a time as early as ones birth. Brahmins who occupies the Priestly class, is at the receiving end of all privileges. Kshatriyas take care of governance, Vaisyas foresee trade and business, and Shudras, are doomed to do everything otherwise. This system, though occupation based in first sight, used to be, and somehow still is, very rigid, with prevailing taboos on intermixing(the extend was extreme during remote past due to practices like untouchability). In Discovery of India, Nehru calls it as a system that allowed specialization of labour in ancient India, which later got perverted into an excuse for excising supremacy. Ambedkar, Chairman of Indian Constitution draft committee and a member of ‘Dalit’ community, called it modern day slavery, and personally called up for denunciation of Hinduism in its entirety. Jyotirao Phule is better known by his contributions towards the education of Sudras and ‘Dalits’(Term Dalit is complicated as it mostly denotes the collective of various lower caste groups who are in lower strata than Sudras. The term is more popular in modern days, and Author has been sticking to the usage of word Sudras, to represent the whole of lower class), the lower caste people, who were denied knowledge, for secrets of knowledge were secrets and privileges of Brahmins. 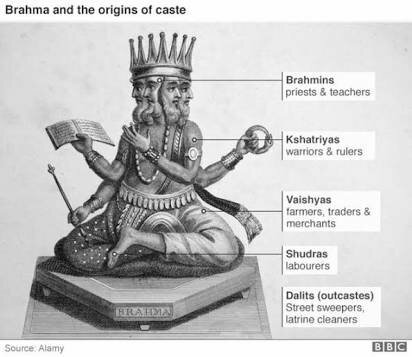 Lower caste people weren’t allowed to listen to vedas or learn sanskrit, the divine language, and were kept checked in their ignorance by twisted philosophies of Dharma. Phule’s narrative calls for an educated look into the exploitation by Brahmins (or upper class in general), under the light of conquerors history. He argues that, dark skinned Sudras were the real occupants of the land, which Brahmin outsiders came over to exploit. Aryan invasion involved practice of atrocities by Brahmins on aborigines of the land, for fertile planes and wealth, much like modern day European Imperialists. He extends the common notion of subjugation by British, to the condescending nature of Brahmanism as well. In Hindu tradition, Brahmins are styled as Lords of Universe, demanding veneration and obligatory favours, form rest of the class. Like Asimov’s rules of Robots, For a Sudra, to kill the Brahmin is considered to be the heinous of all crime. Phule argues that the existence of these rules and the likes are ploys in co existence, by upper class, to exert power and enjoy privileges, on and from the lower caste. An eternal entitlement of immunity and veneration through religious rules. I will share some excerpts from Manava Dharma Shastra, which Phule had included to illustrate this assertion of superiority. “A Brahmin can do no wrong. Never shall the king slay a Brahmin, though he has committed all possible crimes. To save the life of Brahmin any falsehood maybe told. There is no sin in it. No one is to take away anything belonging to a Brahmin. A king, though dying with want, must not recieve any tax from a brahmin, nor suffer him to be afflicted with hunger or the whole kingdom will be afflicted with famine. Basically these are the born privileges that Hesse’s Sidhartha exploited to manipulate others in his personal quest for nirvana. The other side of this superiority is of couse the inferiority of Sudras, and Dalits (there is a fine line of distinction when we use the word Dalit, as the word Sudra includes, in a broader sense, what is today known by OBC(Other Backward Communities) as well). Among many other ridiculous restrictions, Sudras were prohibited from superfluous wealth accumulation, while Brahmins claimed entitlements to their work.Phule takes readers into writing of Puranas, explaining the underlying narrative preference, which, on more educated read, looks like ridiculous fooleries than equitable laws. Most of the mythological stories can be interpreted as conflicts between Aryans and Dravidians or the aborigines. He argues that, even if we take them by half of their face value, the British atrocities will look widely insignificant. Again these are not my personal claims to make, and transistorizing mythology, in my opinion, is a dangerous habit, in present day interpretations (Babri Masjid Incident for example). Phule isn’t the only one who has made this claim in history, his contemporary and townswoman Tarabhai Shinde called for a feminist interpretation of Hindu epics, in her writings, against the Brahmanic and Male chauvinism. Same can be reflected in Ambedkars writing, who viewed the hagiography of many of the Gods with their devotees, as a subtle ploy to assert brahmanical supremacy and infuse obedience among lower class. 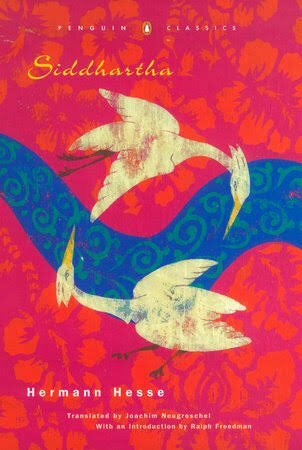 VS Naipaul, in his controversial India Trilogy, criticizes the caste system and fixation on ancient history as the biggest hindrance for achieving any sensible social progress. The path of Dharma advises strict adherence to ones duty, adherence to which promises the incentive of a hierarchical upper class birth in next life. Thus the system not only openly endorsed this hierarchical treatment, but involved measures to sustain the tradition till end of times. I must add that there are many contratry arguments to this school of thoughts, which this writing doesn’t give credit to. Still, this psychological enslaving of the lower class, in their self acceptance towards exploitation, is not something that can be unseen, no matter how different your views are. Brahmins have basically been despoiling the Sudras for centuries, in their capacity as Priest and exclusiveness in higher studies. This doesn’t mean there wasn’t any Sudras in olden days, who had risen to the upper strata, there are plenty of historical examples to suggest otherwise. Interestingly, the immediate tendency among those who made it big, coming from a lower caste, was indirect denunciation of their caste, by embracing the practices of upper caste. Despisal of the very practices that they once cherished as identity, became their entry doors into societal pseudo assimilation. For example, the practice of Dowry, shift into vegetarianism etc. In fact, even in present day India this scene isn’t much different, and its a bit sickening considering constitutionally guaranteed affirmative actions. Reservation for Scheduled Caste and Tribes, was initiated as a temporary arrangement for representation of lower caste, but it soon got graduated to an expansive eternal business of vote politics. Some might argue that it has done more harm than good in compartmentalizing the caste system, as a privilege card for entry and even promotion in jobs and academics. British Government, which literally been working by taxing on the poorest necessities of lower caste, was invested in patronizing its virtual high class. The basic nature of colonization has been on this ideology, whether its South Asia or America – join the aristocracy, and induce locals to work and provide for them. British appeasement of upper class bought western education and liberal thoughts as well, and though it did help a significant group of people to stand with the oppressed, majority opted to stay in their cocoon of privileges. Phule seems to have been highly disappointed in the prevalence of this regressing mentality. He says that they are not only condescending enough not to acknowledge their errors but also in constant lookout for excuses to cherish their false notions of superiority. And in this 21st century, I am finding it easy to vouch for him, than contradict ancient ignorance with modern liberalism. There are anomalies to this claim, huge ones in heavy numbers, from blue collar jobs to current President of the country. But they are all lost on this clincher- caste based marriages. This supposed to be monopoly field of younger generation, still suffers from the intricasies of caste system, making the infamous term ‘Arranged Marriages’ all the more literal. He ends the essay with a call for schools in every village, where Sudras can learn, but without brahmin school masters. Pretty regressive, If you ask me, and in lines with the very doctrine of inclusiveness he been writing against. But, the narrative will make sense once read with the rigidity of caste system during those days, where Brahmin school masters refused to teach Sudras. And this call for education, for future generations free of oppression and equitable in their efforts, was the very cause Phule dedicated his whole life for, which in turn changed the course of India. Jyotirao Govindrao Phule(11 April 1827 – 28 November 1890) was an Indian social activist for the Dalit people, an thinker, anti-caste social reformer and writer from Maharashtra. His work extended to many fields including eradication of untouchability and the caste system, women’s emancipation and the reform of Hindu family life. He and his wife, Savitribai Phule, were pioneers of women’s education in India. He is most known for his efforts to educate women and the lower castes. Together, they were among the first native Indians to open a school for girls in India, which they did in August 1848.